Global food manufacturing giant Mondelēz International has begun construction on stage two of the Food Innovation Centre at Ringwood, Victoria, continuing the Company’s largest ever Australian investment in new technologies and innovations. Mondelez said the centre was the largest facility of its kind in Australia and one of the biggest in the Asia Pacific region. The Company said the facility would provide “a significant boost for Victorian food manufacturing and innovation”. Over 100 food innovators were co-located with dedicated infrastructure and the latest technologies. To support the survival and renewal of the food manufacturing sector Mondelez said it was focused on unlocking consumer insights and product innovation for export into Asian markets where demand was increasing, and opportunities were significant. The Company said its focus would be on aligning its innovation and marketing assets to appeal to 1.6 billion Asian consumers. Mondelez said it had an “open door approach”, connecting small to medium sized enterprises, people, State and Federal governments, industry, higher education and technology through collaborative programs. It said the aim was to develop and share insights and build the platform to deliver “world-class innovations”. 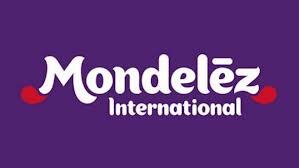 According to Mondelez, the centre “de-risks” innovation for the Company and in the industry broadly. It said the centre was “a rare example of a multi-national company leading industry outcomes and focusing on the greater good of the food industry”. Stage one of the centre, which opened in January 2013, has pilot manufacturing for new products, a design and packaging lab and sensory facilities to deliver quality testing. The stage two developments will see the construction of a brand-new facility to house theatre-style seating for an expanded virtual store, collaboration spaces and planning rooms which will be used by Mondelēz International and the broader food industry. How many more “restructure plans” before Metcash is restructured?